OK Y’all Thanksgiving is like 2 days away and I am no way even close to being ready.I have never been able to perfect making pie crust. Yes you read that right. I can’t make pie crust to save my life. I always use the best frozen pie crusts I can find for my pies. 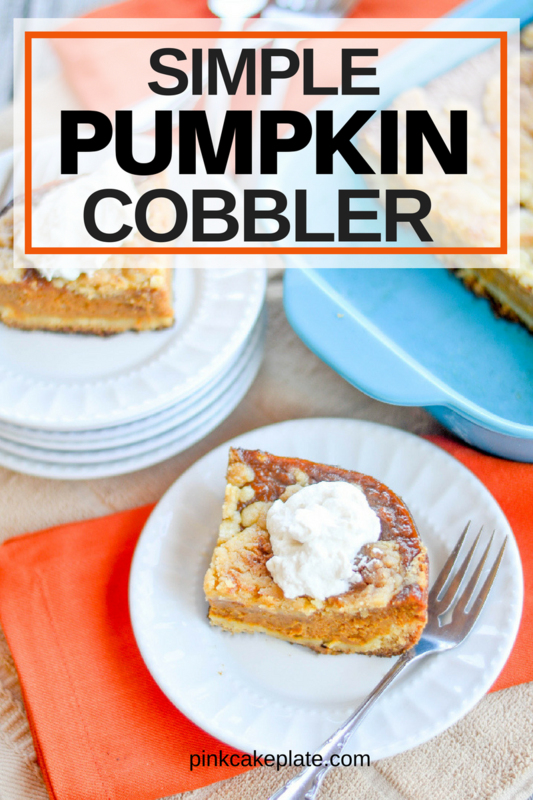 When I came across this recipe for this simple Pumpkin Cobble I did a little dance! I think the best thing about this recipe is it starts with a yellow cake mix. As you all know I love using shortcut with my baking and cooking. Now where I dont take shortcuts is with the quality of my ingredients. I use real butter and fresh eggs. I promise it makes all the difference. Now I am not gonna lie this is not the prettiest of desserts but it is so good! 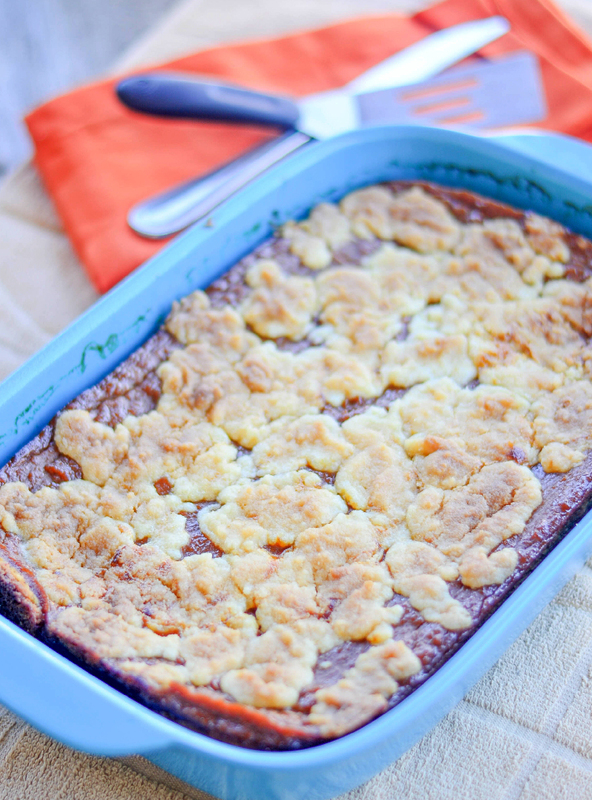 Now lets talk about this Pumpkin cobbler. First off it could not be easier. 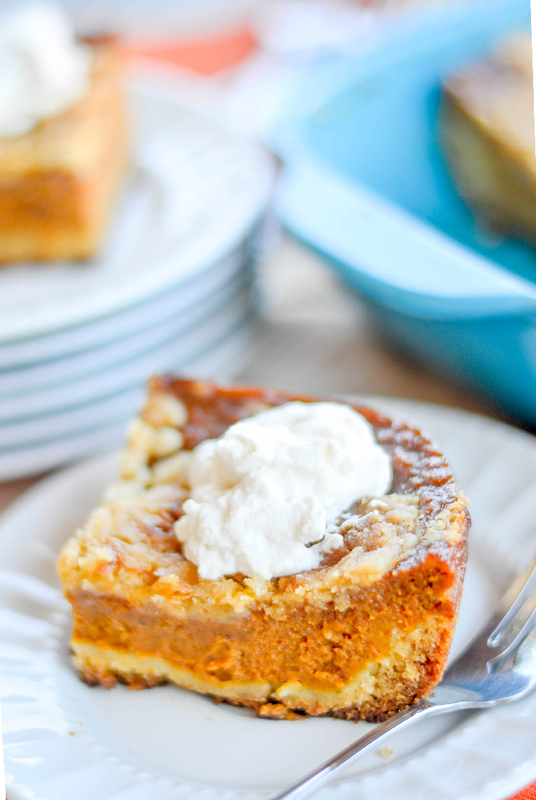 Second it has all the same flavors and textures of a traditional pumpkin pie. Third no temperamental crust to deal with. 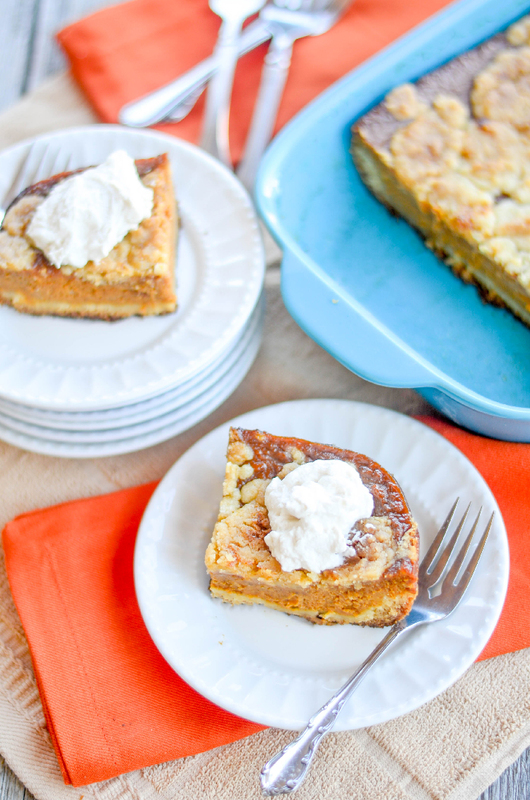 Those are all great reasons to make this instead of a traditional pumpkin pie. LOL! So if your pie crust challenged like I am I say give this recipe a try. It whips up so easily and quickly. Not to mention you probably already have the ingredients in you pantry and fridge. I served the pumpkin cobbler with fresh whipped cream so it doesn’t look that pretty but let me tell you it was delicious. 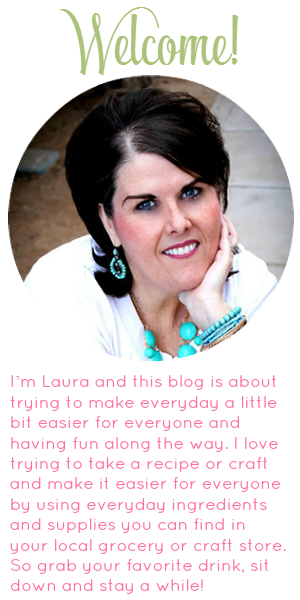 I thought about serving with a scoop of vanilla ice cream how yummy would that be??? 1 can(s) large can pumpkin (not pie mix); 29 oz. 2. Crust: Combine dry cake mix (minus 1 c), melted butter, and 1 egg. 3. Pat into a 13x9 cake pan. 4. Filling: Combine pumpkin, 3 eggs, brown sugar, milk, vanilla, and cinnamon. 7. Mix together well and spoon over filling. 8. Bake at 350 for 40-50 minutes until topping is golden brown. So how are your pie crust making skills? Have you mastered this one or still working on it like I am? Well here is an alternative if your not the best pie crust maker. 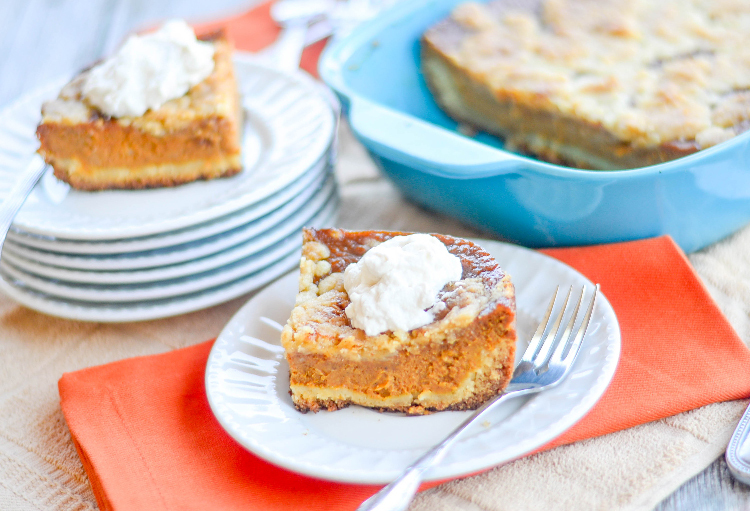 This pumpkin cobbler is easy, delicious and one you will want to serve again and again. Plus your friends and family will love it!